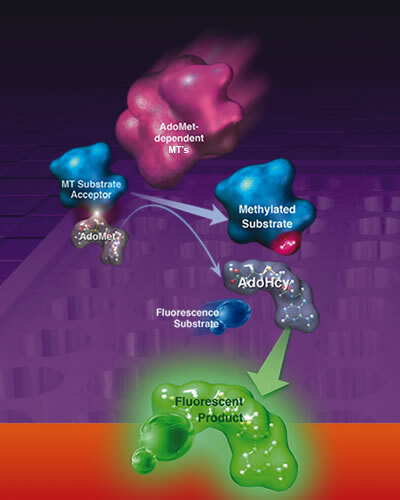 The Methyltransferase activity kit is a homogeneous mix-and-read fluorescent assay for the determination of any S-adenosyl-L-methionine (AdoMet/SAM) dependent methyltransferase activity. It is suitable for end-point or kinetic read options, which is ideal for determining mechanism of action, kinetics, and screening candidate compounds. The assay is amendable to HTS and miniaturization. Use/Stability: Store assay buffer +4° and all other components at -20°.